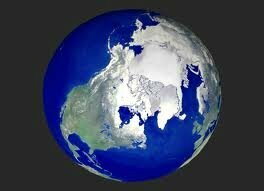 Hylander L, Goodsite M: Environmental costs of the mercury pollution. Sci Total Environ 2006, 368:352-370. Hylander L, Lindvall A, Gahnberg L: High mercury emissions from dental clinics despite amalgam separators. Sci Total Environ 2006, 362:74-84. Harakeh S, Sabra N, Kassak K, Doughan B, Sukhn C: Mercury and arsenic levels among Lebanese dentists: a call for action. Bull Environ Contam Toxicol 2003 , 70:629-635. Tezel H, Ertas OS, Ozata F, Erakin C, Kayali A: Blood mercury levels of dental students and dentists at a dental school. Br Dent J 2001 , 191:449-452. Aydin N, Karaoglanoglu S, Yigit A, Keles MS, Kirpinar I, Seven N: Neuropsychological effects of low mercury exposure in dental staff in Erzurum, Turkey. Int Dent J 2003, 53:85-91. Moen BE, Hollund BE, Riise T: Neurological symptoms among dental assistants: a cross-sectional study. J Occup Med Toxicol 2008, 18:3-10. Jones L, Bunnell J, Stillman J: A 30-year follow-up of residual effects on New Zealand School Dental Nurses, from occupational mercury exposure. Hum Exp Toxicol 2007, 26:367-374. Pizzichini M, Fonzi M, Giannerini M, Mencarelli M, Gasparoni A, Rocchi G, Kaitsas V, Fonzi L: Influence of amalgam fillings on Hg levels and total antioxidant activity in plasma of healthy donors. Sci Total Environ 2003, 301:43-50. Björkman L, Lundekvam BF, Laegreid T: Mercury in human brain, blood, muscle and toenails in relation to exposure: an autopsy study. Environ Health 2007, 11:6:30. Ask K, Akesson A, Berglund M, Vahter M: Inorganic mercury and methylmercury in placentas of Swedish women. Environ Health Perspect 2002, 110:523-526. L Palkovicova et al. 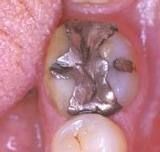 Maternal amalgam dental fillings as the source of mercury exposure in developing fetus and newborn. J Expo Sci Environ Epidemiol. 2007. Takahashi Y, Tsuruta S, Arimoto M, Tanaka H, Yoshida M: Placental transfer of mercury in pregnant rats which received dental amalgam restorations. Toxicology 2003, 185:23-33. 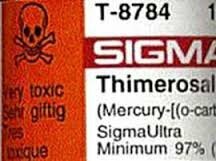 Vahter M, Akesson A, Lind B, Bjors U, Schutz A, Berglund F: Longitudinal study of methylmercury and inorganic mercury in blood and urin of pregnant and lactating women, as well as in umbilical cord blood. Environ Res 2000, 84:186-194. Sergio L. Da Costa et al, Breast-milk mercury concentrations and amalgam surface in mothers from Brasília, Brazil, Biological Trace Element Research, août 2005, volume°106, n° 2, p. 145-151. Yoshida M, Watanabe C, Satoh M, Yasutake A, Sawada M, Ohtsuka Y, Akama Y, Tohyama C: Susceptibility of Metallothionein-Null Mice to the Behavioural Alterations Caused by Exposure to Mercury Vapour at Human-Relevant Concentration. Toxicol Sci 2004, 80:69-73. Luglie PF, Campus G, Chessa G, Spano G, Capobianco G, Fadda GM, Dessole S: Effect of amalgam fillings on the mercury concentration in human amniotic fluid. Arch Gynecol Obstet 2005, 271:138-142. Jedrychowski W, Jankowski J, Flak E, Skarupa A, Mroz E, Sochacka-Tatara E, Lisowska-Miszczyk I, Szpanowska-Wohn A, Rauh V, Skolicki Z, Kaim I, Perera F: Effects of prenatal exposure to mercury on cognitive and psychomotor function in one-year-old infants: epidemiologic cohort study in Poland. Ann Epidemiol 2006, 16:439-447. Lederman SA et al. Relation between cord blood mercury levels and early child development in a World Trade Center cohort. Environ Health Perspect. 2008 Aug;116(8):1085-91. Holmes A S. et al. Reduced levels of mercury in first baby haircuts of autistic children. International Journal of Toxicology, 2003, volume 22, p. 277-85. Adams J B. et al. Mercury, lead, and zinc in baby teeth of children with autism versus controls. Journal of Toxicology and Environmental Health, 2007, volume 70, n° 12, p. 1046-1051. Geier D A et al. The biological basis of autism spectrum disorders: Understanding causation and treatment by clinical geneticists. Acta Neurobiologiae Experimentalis, 2010, volume 70, n° 2, p.209-26. Mutter J et al. Mercury and autism: Accelerating Evidence ?. Neuroendocrinology Letters, octobre 2005, Volume 26, n°5, p. 439-446. Bradstreet J, Geier D, Kartzinel J, Adams J, Geier M: A case-control study of mercury burden in children with autistic spectrum disorders. J Am Phys Surg 2003, 8:76-79. Geier DA, Kern JK, Geier MR: A prospective study of prenatal mercury exposure from maternal dental amalgams and autism severity. Acta Neurobiol Exp 2009, 69:189-197. Mutter J et al. Alzheimer disease: mercury as pathogenetic factor and apolipoprotein E as a moderator. NeuroEndocrinology Letters, 2004, volume 25, n°5, p. 331-339. Leong C W et al. Retrograde degeneration of neurite membrane structural integrity of nerve growth cones following in vitro exposure to mercury. Neurologic Report, 2001, volume 12, p. 733-737. Olivieri G et al. Mercury induces cell cytotoxicity and oxidative stress and increases beta-amyloid secretion and tau phosphorylation in SHSY5Y neuroblastoma cells. Journal of Neurochemistry, 2000, volume 71, p. 231-236. Mutter J, Naumann J, Guethlin C: Comments on the article "the toxicology of mercury and its chemical compounds" by Clarkson and Magos (2006). Crit Rev Toxicol 2007 , 37:537-549. Björkman et al. Mercury in human brain, blood, muscle and toenails in relation to exposure: an autopsy study. Environmental Health, 2007, volume 6, p. 30. Hock C et al. Increased blood mercury levels in patients with Alzheimer’s disease. Journal of Neural Transmission, 1998, volume 105, n°1, p. 59-68. Dantzig PI: Parkinson's disease, macular degeneration and cutaneous signs of mercury toxicity. J Occup Environ Med 2006 , 48:656. Miller K, Ochudto S, Opala G, Smolicha W, Siuda J: Parkinsonism in chronic occupational metallic mercury intoxication. Neurol Neurochir Pol 2003 , 37:31-38. Uversky VN, Li J, Fink AL: Metal-triggered structural transformations, aggregation, and fibrillation of human alpha-synuclein. A possible molecular NK between Parkinson's disease and heavy metal exposure. J Biol Chem 2001 , 276:44284-44296. Bates M, Fawcett J, Garrett N, Cutress T, Kjellstrom T: Related articles, health effects of dental amalgam exposure: a retrospective cohort study. Int J Epidemiol 2004, 33:894-902. Bates MN: Mercury amalgam dental fillings: an epidemiologic assessment. Int J Hyg Environ Health 2006, 209(Suppl 4):309-316. Craelius W. Comparative epidemiology of multiple sclerosis and dental caries. Journal of Epidemiology & Community Health, 1978, volume 32, p.155–65. Aminzadeh KK, Etminan M: Dental amalgam and multiple sclerosis: a systematic review and meta-analysis. J Public Health Dent 2007, 67:64-66. McGrother CW et al. Multiple sclerosis, dental caries and fillings: a case-control study. Brittish Dental Journal, 1999, volume 187, p. 261–264. Bangsi et al. Dental amalgam and multiple sclerosis: a case-control study in Montreal. International Journal of Epidemiology, 1998, volume 27, p. 667–671. Praline J, Guennoc AM, Limousin N, Hallak H, deToffol B, Corcia P: ALS and mercury intoxication: a relationship? Clin Neurol Neurosurg 2007 , 109(Suppl 10):880-883. Stankovic R: Atrophy of large myelinated motor axons and declining muscle grip strength following mercury vapour inhalation in mice. Inhal Toxicol 2006 , 18:57-69. Johnson F O. The role of environmental mercury, lead and Pesticide exposure in development of amyotrophic Lateral sclerosis. Neurotoxicology, septembre 2009, volume 30, n°5, p. 761–765. Mark C. Houston MD, MS, The Journal of Clinical Hypertension, vol.13, Issue 8, P.621-627, Août 2011. Moszczyński P. Mercury and the risk of coronary heart disease. Przegl Lek. 2006;63 Suppl 7:84-7. Frustaci A, Magnavita N, Chimenti C, Caldarulo M, Sabbioni E, Pietra R, Cellini C, Possati GF, Maseri A. Marked elevation of myocardial trace elements in idiopathic dilated cardiomyopathy compared with secondary cardiac dysfunction. J Am Coll Cardiol. 1999 May;33(6):1578-83. Kyung-Min Lim, Sujin Kim, Ji-Yoon Noh, Keunyoung Kim, Won-Hee Jang, Ok-Nam Bae, Seung Min Chung, and Jin-Ho Chung. Low-Level Mercury Can Enhance Procoagulant Activity of Erythrocytes: A New Contributing Factor for Mercury-Related Thrombotic Disease. Environmental Health Perspectives, Vol 118, N° 7, July 2010, p. 928-935. Rothwell JA, Boyd PJ. Int J Audiol. 2008 Dec;47(12):770-6. Mercure et perte d’audition : Rothwell JA, Boyd PJ. Int J Audiol. 2008 Dec;47(12):770-6.